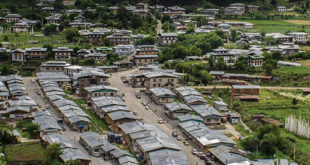 According to the minister of agriculture, Lyonpo Yeshey Penjore, the government has fulfilled its pledge on Sonam Gongphel—which was one of the 25 pledges in 120 days made during the campaign period. The agriculture minister informed that the ministry started working and has fulfilled the pledge within four months from the time the government took over. The government took over on November 7, 2018 and roughly has four months from then to complete 120 days which is till the first week of March 2019. The government pledged to initiate the Sonam Gongphel Project where the government will buy the farmer’s produce. The minister said that that it has been initiated. “The farmers, however, after realizing that the government’s buy back price of Nu 550 is higher than the price they can fetch from exports, rather chose to sell their produce to government again. In such cases, the government has to study whether there is genuine need for buy-back interventions”, Lyonpo said. 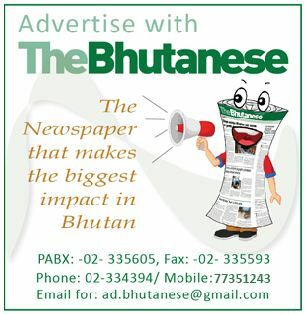 “In order to address issues related to water, the government declared that it will review and amend the Water Act of Bhutan. 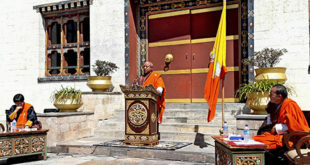 The review of Water Act is already underway and the government is mobilizing the financial resources needed for the establishment of water agency,” Lyonpo said. Here too the pledge is to, ‘Set up insurance schemes for farmers to protect their crops,’ and it does does not talk about starting its initiation.